feedback while improving employee engagement – without the faff. 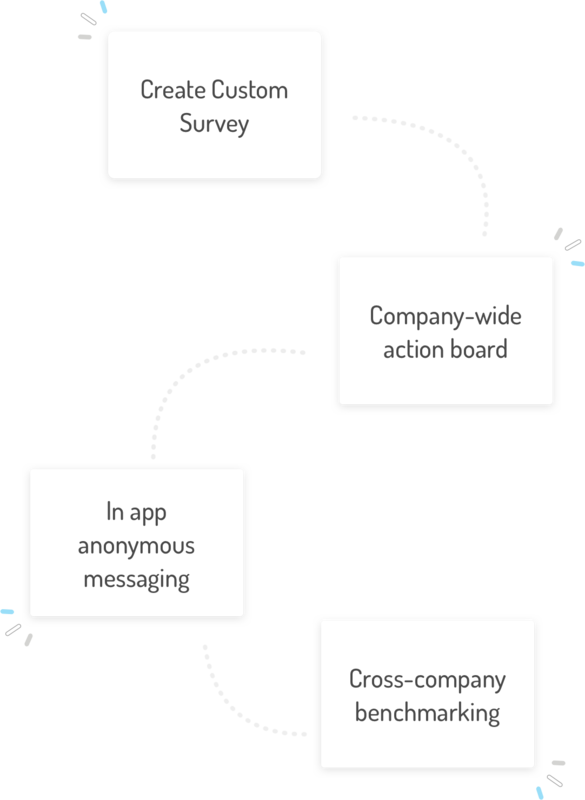 Automatically check in and follow up with your employees at regular intervals with short, engaging pulse surveys. Our library of ready-to-use questions tackle the 10 key drivers of employee engagement, observed by behavioural psychologists and leading companies. Our real-time dashboards allow you to quickly measure trends and identify issues before they become problems. Easily filter results and present your findings. 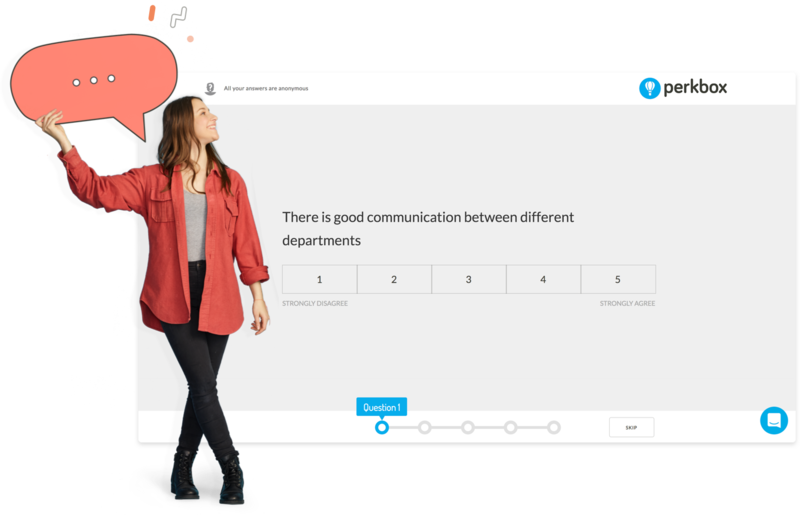 Perkbox Insights was designed because we found that traditional employee engagement surveys fell short of the mark. They often lead to survey fatigue and ask more questions than they answer. The the truth remains: staff surveys, pulse surveys, employee surveys – whatever you call them, employee feedback is the lifeblood of successful organisations. 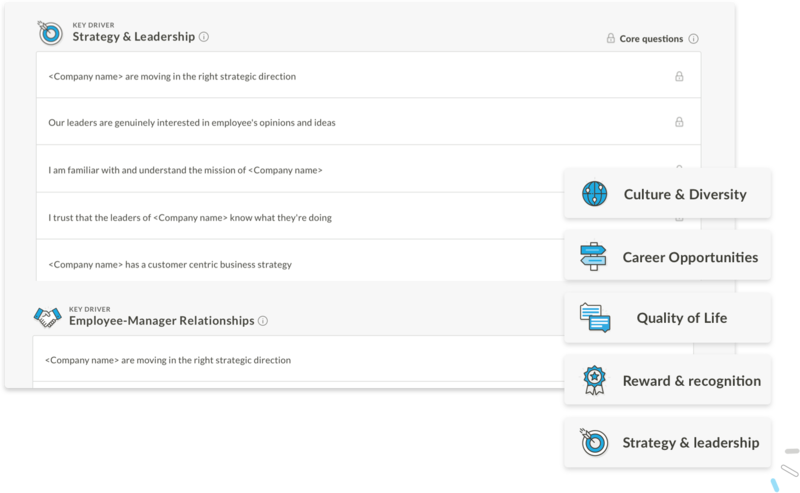 Perkbox Insights gives your employees a voice, while helping you to gather and act on the right kind of information. 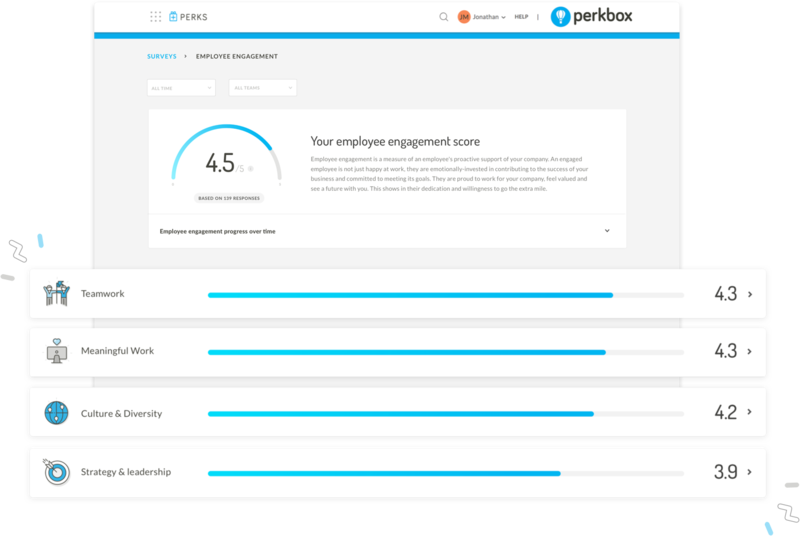 With Perkbox Insights you can improve and increase employee engagement with the best employee surveys on the market. It will allow you to approach feedback in a structured and meaningful way.